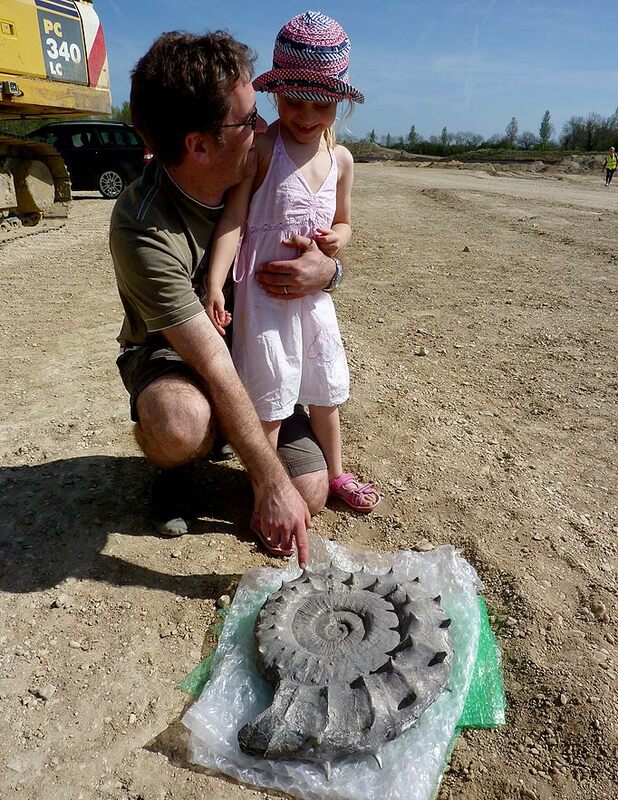 GIRL of six got more than she bargained for when she went digging with a plastic spade and found a 160million year old fossil. Emily, who lives in Chippenham, Wilts, was reunited with the rock on Sunday when she presented it to the Gateway Information Centre near Cirencester, Gloucs. The stone will go on display at the centre, run by the Cotswold Water Park Trust, for three weeks for other experts and children to admire. The fossilised sea creature with a spiral-patterned shell was a mollusc that lived in the oceans during the Jurassic period — the same time as dinosaurs. Emily’s fossil had spikes to ward off predators and was encased in a block of mudstone when it came out of the ground.